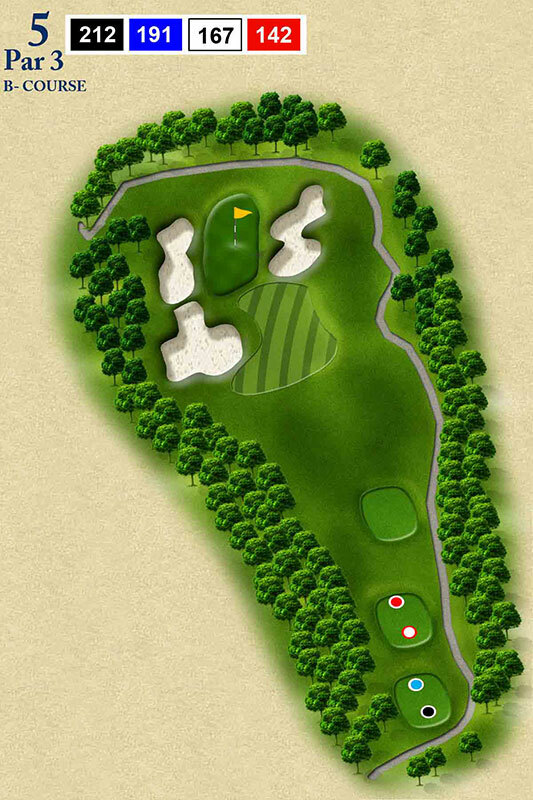 #3B Most of the real trouble on this hole occurs on the right near the green. 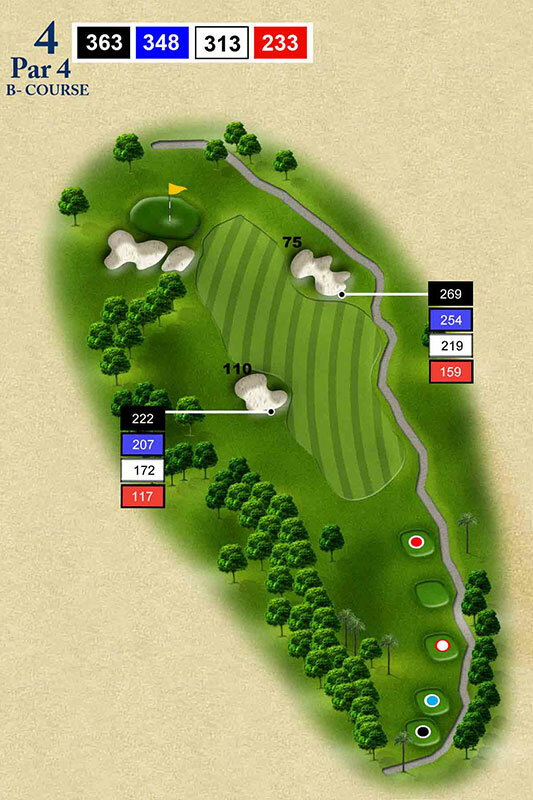 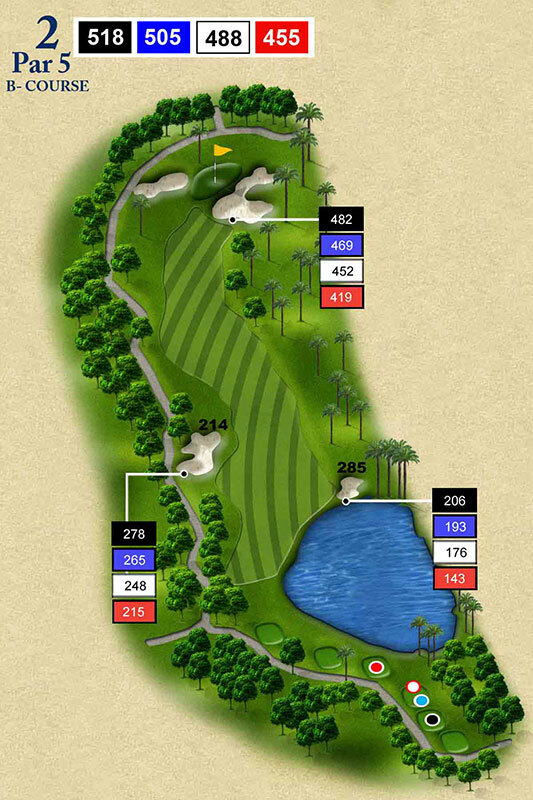 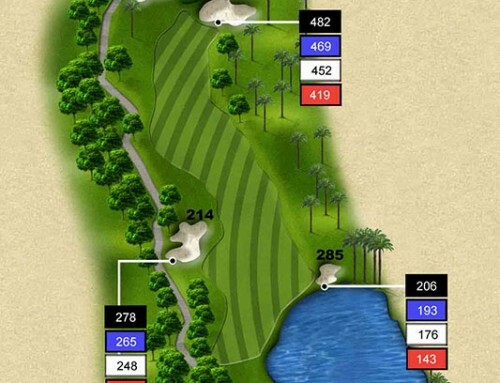 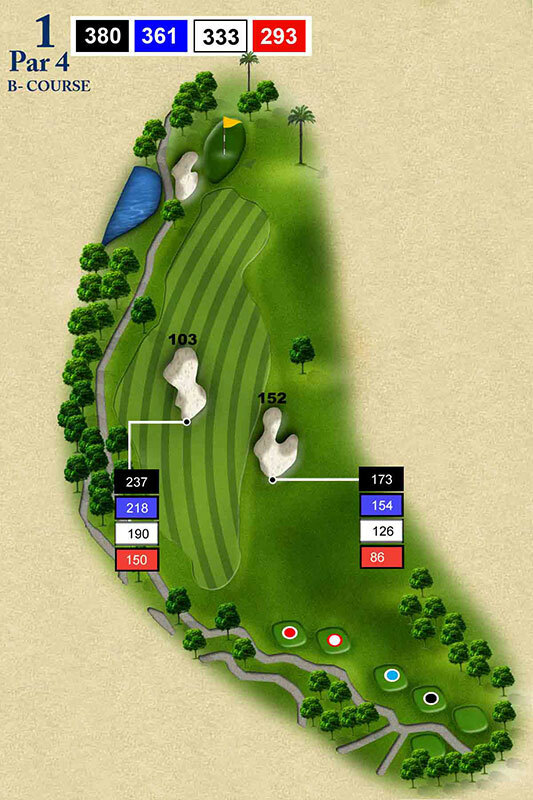 for all glfers, a drive on the right half of the fairway will make the second shot more playable. 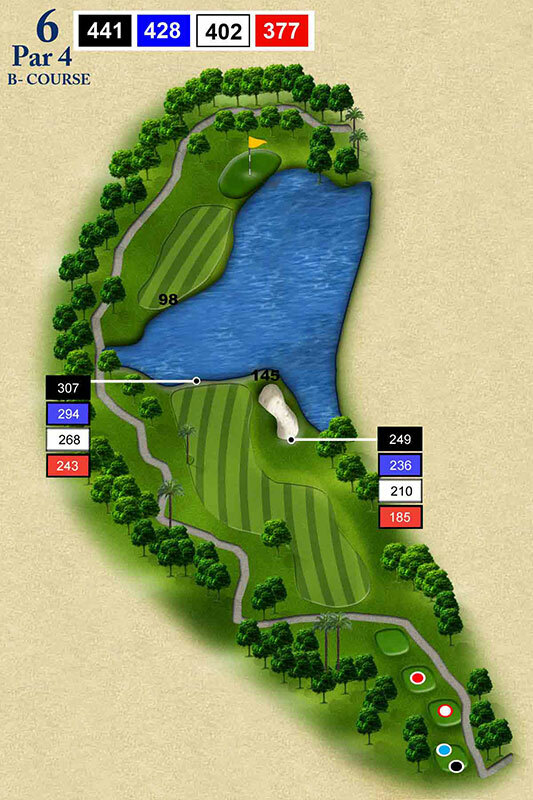 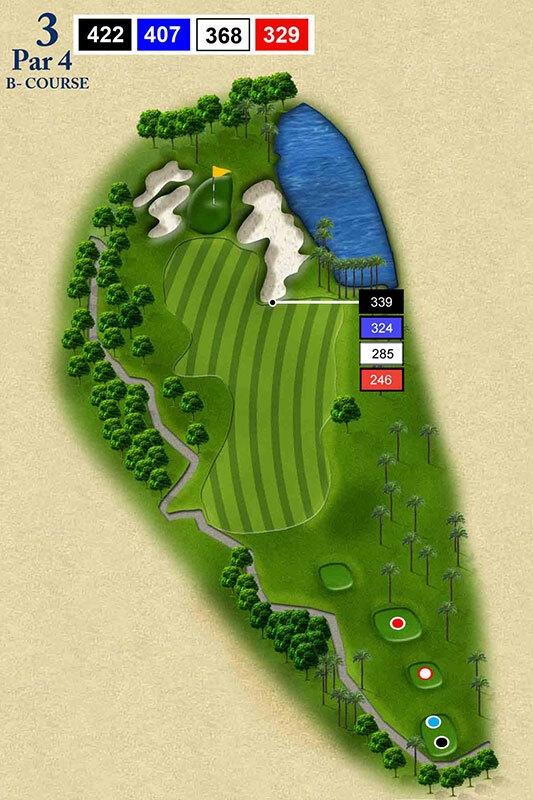 From that point, one can play his approach away from the lake, bunker and low fairway that lie on the right. 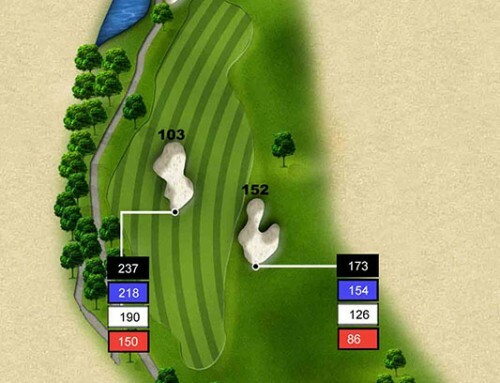 A mound on the front-left side of the green could probide on opportunity to play safely and still work the ball off the slope toward the hole.